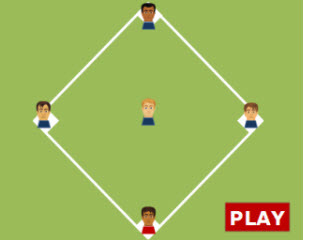 Play this exciting Baseball Math Multiplication Facts up to 12 Game to help develop your multiplication skills. It is a great activity for classroom review and reinforcement. Return from Multiplication Facts up to 12 Baseball Game to Baseball Math Games, 3rd Grade Math Games, or to Math Play.